With bright blooms, warm days, cool nights, and memories of the moments that you live for with people you'll never forget. The summer months are the perfect time for a jubilant celebration of new beginnings, and that's what this weekend was all about. Newlyweds entering into a new chapter of their lives together as husband + wife, and from Knoxville to Nashville this weekend was all about celebrating love. It was a series of beautiful moments that makes you realize every second here is precious; so hug the people you love and don't take a single second for granted.. Cheers! 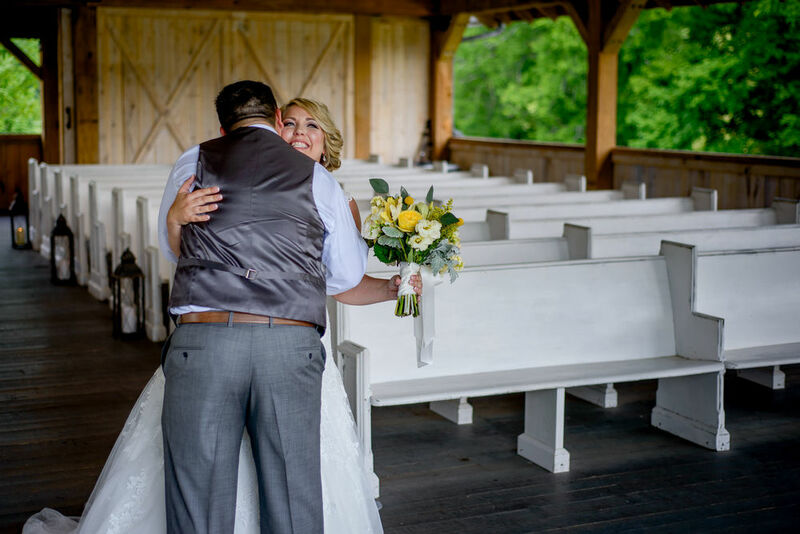 Highlights: From the moment we met Jessica, we fell in love with this Bride and the love she has for her Groom, family, and friends. When we started planning, Jessica came to Brian wanting to come up with a surprise for Matt on the day of their wedding. She didn't want it to be something that would"steal the show," but instead she wanted to do something that would allow her to tell their love story all the while sweetly expressing how she feels for her Groom. Jessica and Brian recorded the audio message, and then Brian mixed music to play in the background. The recording played during the ceremony, right before she came down the aisle, and Matt's face was absolutely priceless. The audio is below and I recommend you grab Kleenex before pressing play. It was such a romantic ceremony, and as soon as her surprise audio ended, the College Grove String Quartet's timing was perfect, going immediately into "Here Comes the Bride." Their wedding was beautiful from the Bride's dress, to the decor, the floral, the toasts.. and I could go on and on. Jessica and Matt's first dance was to "All of Me" by John Legend, and they continued dancing all night to songs by Florida Georgia Line, Drake, Justin Timberlake, and Bob Seger to name a few. Not to be repetitive, but we literally loved being a part of this wedding and we wish Jessica + Matt a lot of love and great memories of their beyond gorgeous wedding day! 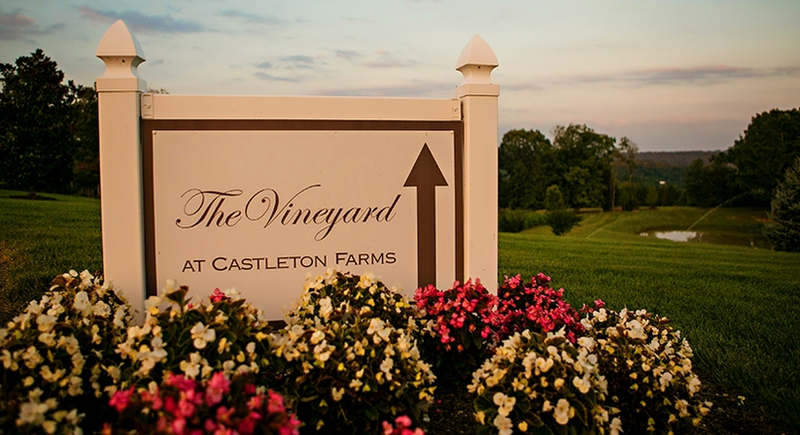 Highlights: Located just west of Knoxville sits a beautiful venue, Castleton Farms. 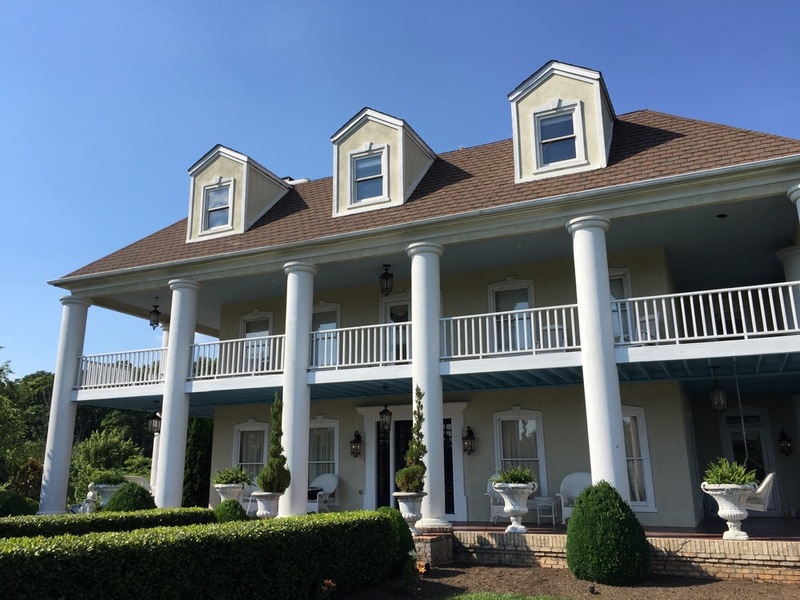 They have about 5 different ceremony locations and several reception locations located across the 108 acre property. 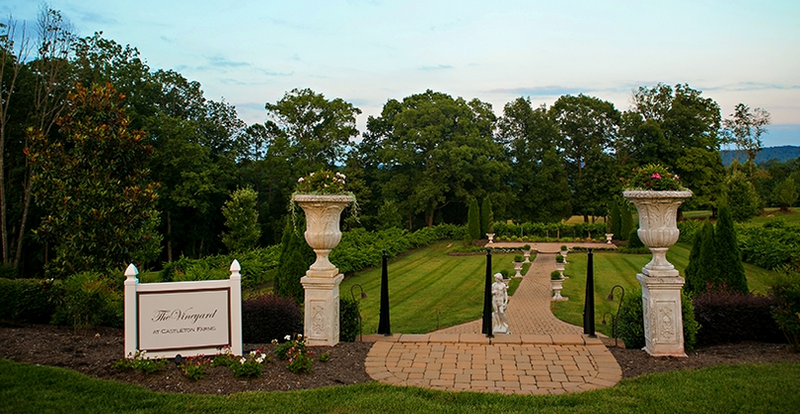 Their wedding ceremony and reception took place in the Vineyards, located next to the lake. 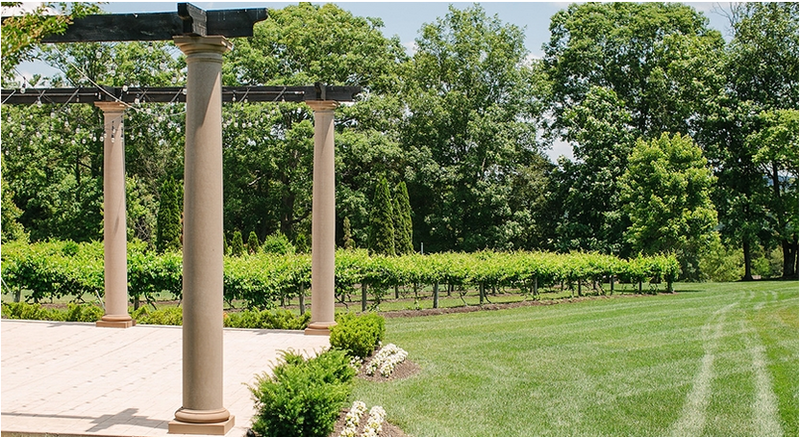 For the reception, the venue has a beautiful permanent dance floor with huge Greek style columns that sit out in the middle of the Vineyard. Brad told me that he thought that it was 'truly the perfect first dance location.' Our favorite part of their wedding music was during the ceremony, as this Bride and Groom chose all upbeat music, which is a huge departure from the normal slow, classical song choices. Alexandria walked down the aisle to "My Girl" by The Temptations, which again was a very unique and refreshing ceremony experience. 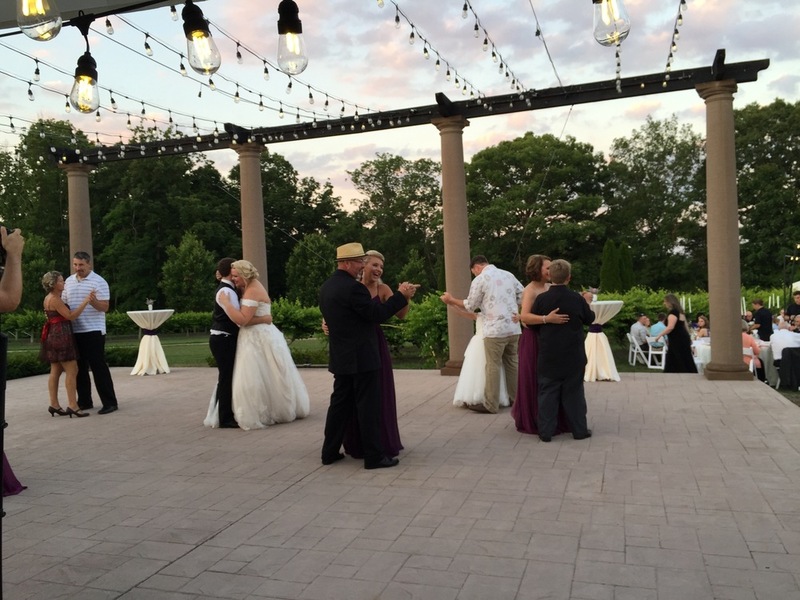 The sun started to set, a nice evening breeze sat in, and the dance floor stayed busy all night! The love between Alexandria and Nick was so obviously romantic, and we loved watching them dance together like they were the only two people out there. Brad had so much fun traveling to Knoxville and being a part of their special day. 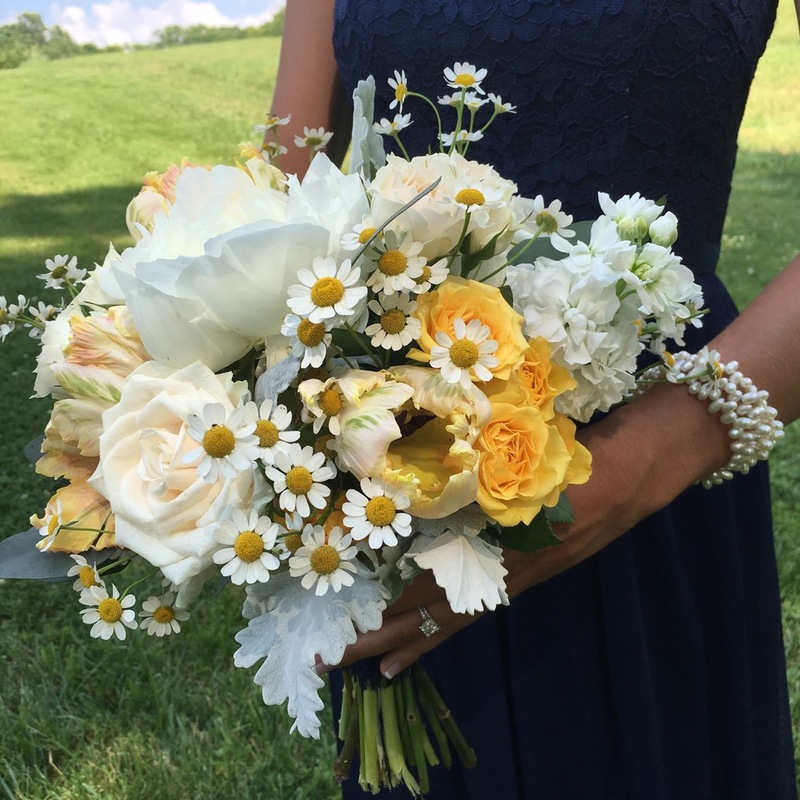 Congratulations again to Alexandria + Nick, we wish you a lifetime of love and much happiness! 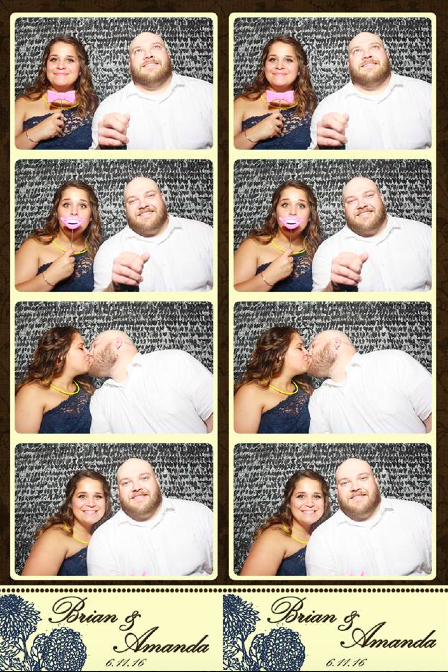 To Share, Save, and Like the Photo Booth pictures on our Facebook.. Please click here! 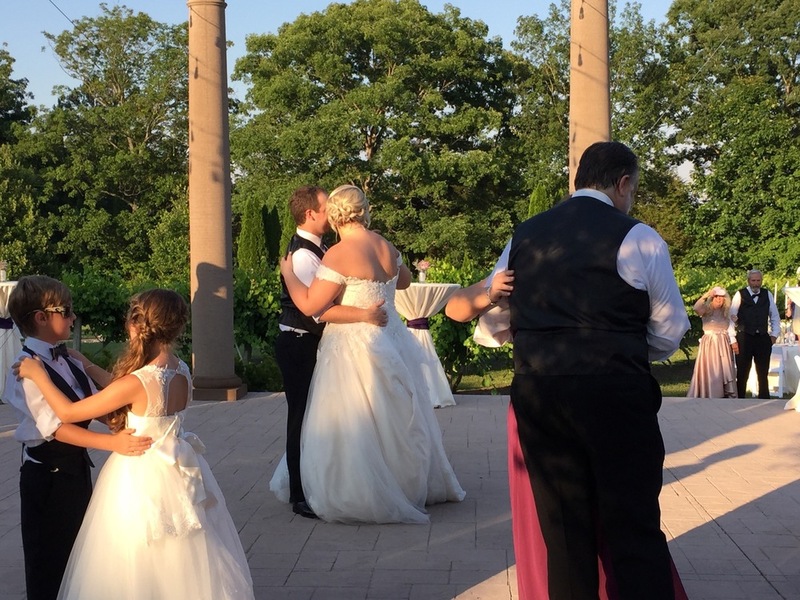 Highlights: A scorcher of a day led to a pretty hot celebration from the beautiful ceremony, great toasts, and good time. 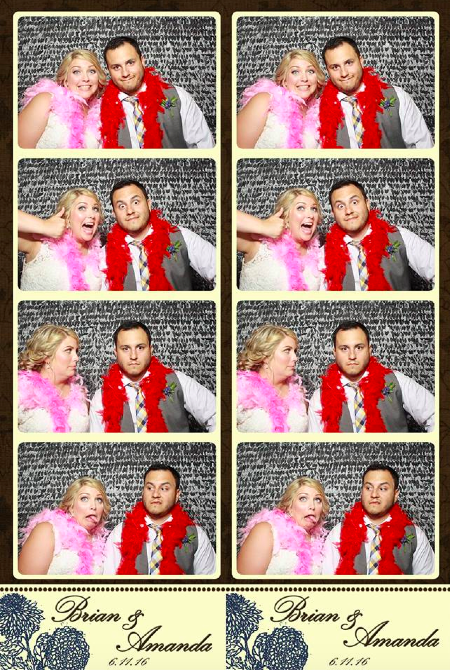 During the planning stages, Amanda really wanted to rent our Photo Booth for her reception, but instead chose to pass and put the cost of the photo booth towards other beautiful decor for the wedding. Well little did she know that her sweet Mom had contacted me directly in the office, asking me to secretly add-on a Photo Booth for Amanda and Brian's reception. 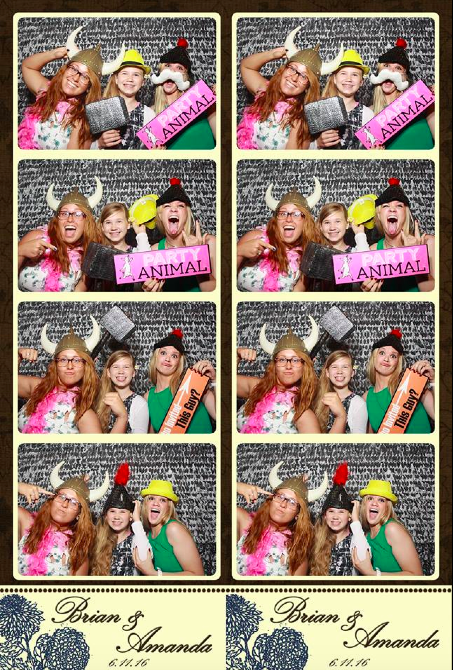 It was so fun picking out the photo booth template, matching the colors, and setting up the surprise. It was such a great moment for Amanda when she came into the reception barn for her first look and saw the photo booth upstairs! The ceremony was beautiful and after cocktail hour, it was time for the reception. For that Father/Daughter dance, she danced with her dad, Marty, to "What A Wonderful World" by Louis Armstrong, and once that song ended, they went immediately into a choreographed dance of MC Hammer's "U Can't Touch This." From then on the dance floor was packed. We had so much fun planning for this wedding that we knew the wedding day itself would be a party. Congratulations Amanda + Brian! Thanks again for allowing us to be a part of your special day! Did you know that Snyder Entertainment can AND loves to travel to Knoxville, Chattanooga, Memphis, Birmingham, Bowling Green, Huntsville, and surrounding areas to be a part of your wedding day?! 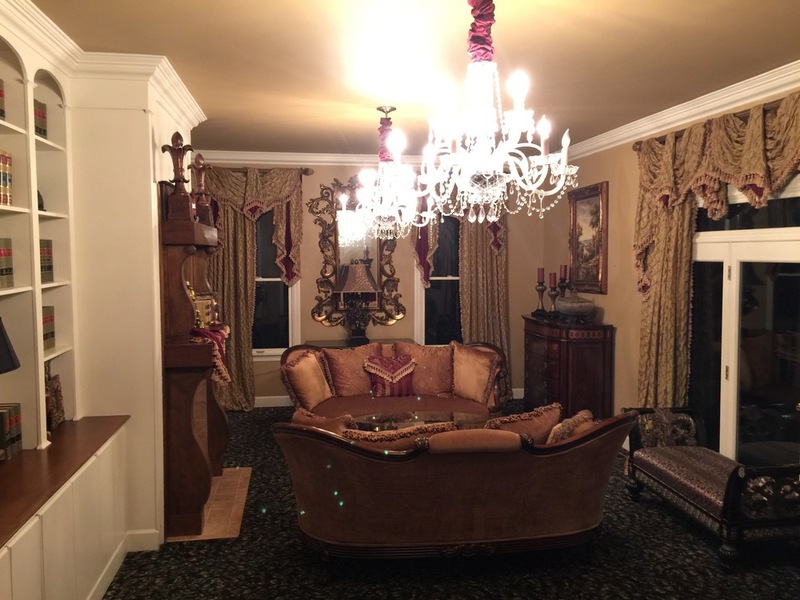 If you're interested in having the premier and most professional entertainment experiences at your next event, please contact us today to secure your date + start planning! Our thoughts + prayers are with all of the Orlando victims and their loved ones.